Learn more about the famous pipe operator %>% and other pipes in R, why and how you should use them and what alternatives you can consider! You might have already seen or used the pipe operator when you're working with packages such as dplyr, magrittr,... But do you know where pipes and the famous %>% operator come from, what they exactly are, or how, when and why you should use them? Can you also come up with some alternatives? Are you interested in learning more about manipulating data in R with dplyr? Take a look at DataCamp's Data Manipulation in R with dplyr course. To understand what the pipe operator in R is and what you can do with it, it's necessary to consider the full picture, to learn the history behind it. Questions such as "where does this weird combination of symbols come from and why was it made like this?" might be on top of your mind. You'll discover the answers to these and more questions in this section. Now, you can look at the history from three perspectives: from a mathematical point of view, from a holistic point of view of programming languages, and from the point of view of the R language itself. You'll cover all three in what follows! If you have two functions, let's say $f : B → C$ and $g : A → B$, you can chain these functions together by taking the output of one function and inserting it into the next. In short, "chaining" means that you pass an intermediate result onto the next function, but you'll see more about that later. For example, you can say, $f(g(x))$: $g(x)$ serves as an input for $f()$, while $x$, of course, serves as input to $g()$. Image Credit: James Balamuta, "Piping Data"
As mentioned in the introduction to this section, this operator is not new in programming: in the Shell or Terminal, you can pass command from one to the next with the pipeline character |. Similarly, F# has a forward pipe operator, which will prove to be important later on! Lastly, it's also good to know that Haskell contains many piping operations that are derived from the Shell or Terminal. How can you implement F#'s forward pipe operator in R? The operator makes it possible to easily chain a sequence of calculations. For example, when you have an input data and want to call functions foo and bar in sequence, you can write data |> foo |> bar? About nine months later, Hadley Wickham started the dplyr package on GitHub. You might now know Hadley, Chief Scientist at RStudio, as the author of many popular R packages (such as this last package!) and as the instructor for DataCamp's Writing Functions in R course. Be however it may, it wasn't until 2013 that the first pipe %.% appears in this package. 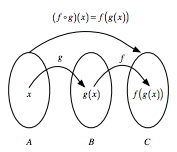 As Adolfo Álvarez rightfully mentions in his blog post, the function was denominated chain(), which had the purpose to simplify the notation for the application of several functions to a single data frame in R.
Bache continued to work with this pipe operation and at the end of 2013, the magrittr package came to being. In the meantime, Hadley Wickham continued to work on dplyr and in April 2014, the %.% operator got replaced with the one that you now know, %>%. Later that year, Kun Ren published the pipeR package on GitHub, which incorporated a different pipe operator, %>>%, which was designed to add more flexibility to the piping process. However, it's safe to say that the %>% is now established in the R language, especially with the recent popularity of the Tidyverse. Knowing the history is one thing, but that still doesn't give you an idea of what F#'s forward pipe operator is nor what it actually does in R.
Remember that "chaining" means that you invoke multiple method calls. As each method returns an object, you can actually allow the calls to be chained together in a single statement, without needing variables to store the intermediate results. In R, the pipe operator is, as you have already seen, %>%. If you're not familiar with F#, you can think of this operator as being similar to the + in a ggplot2 statement. Its function is very similar to that one that you have seen of the F# operator: it takes the output of one statement and makes it the input of the next statement. When describing it, you can think of it as a "THEN". You're right, the code chunk above will translate to something like "you take the Iris data, then you subset the data and then you aggregate the data". This is one of the most powerful things about the Tidyverse. In fact, having a standardized chain of processing actions is called "a pipeline". Making pipelines for a data format is great, because you can apply that pipeline to incoming data that has the same formatting and have it output in a ggplot2 friendly format, for example. R is a functional language, which means that your code often contains a lot of parenthesis, ( and ). When you have complex code, this often will mean that you will have to nest those parentheses together. This makes your R code hard to read and understand. Here's where %>% comes in to the rescue! Does this seem difficult to you? No worries! You'll learn more on how to go about this later on in this tutorial. Note that you need to import the magrittr library to get the above code to work. That's because the pipe operator is, as you read above, part of the magrittr library and is, since 2014, also a part of dplyr. If you forget to import the library, you'll get an error like Error in eval(expr, envir, enclos): could not find function "%>%". Also note that it isn't a formal requirement to add the parentheses after log, diff and exp, but that, within the R community, some will use it to increase the readability of the code. You'll make it easy to add steps anywhere in the sequence of operations. These reasons are taken from the magrittr documentation itself. Implicitly, you see the arguments of readability and flexibility returning. But you'll see more about that later on! The exposition pipe operator %$%. Of course, these three operators work slightly differently than the main %>% operator. You'll see more about their functionalities and their usage later on in this tutorial! Note that, even though you'll most often see the magrittr pipes, you might also encounter other pipes as you go along! Some examples are wrapr's dot arrow pipe %.>% or to dot pipe %>.%, or the Bizarro pipe ->.;. Now that you know how the %>% operator originated, what it actually is and why you should use it, it's time for you to discover how you can actually use it to your advantage. You will see that there are quite some ways in which you can use it! Of course, there are a lot of functions that don't just take one argument, but multiple. This is the case here: you see that the function takes two arguments, x and y. Similar to what you have seen in the first example, you can rewrite the function by following the structure argument1 %>% function(argument2), where argument1 is the magrittr placeholder and argument2 the function call. Note how you work from the inside out when you rewrite the nested code: you first put in the babynames, then you use %>% to first filter() the data. After that, you'll select n and lastly, you'll sum() everything. Remember also that you already saw another example of such a nested code that was converted to more readable code in the beginning of this tutorial, where you used the log(), diff(), exp() and round() functions to perform calculations on x. Unfortunately, there are some exceptions to the more general rules that were outlined in the previous section. Let's take a look at some of them here. Consider this example, where you use the assign() function to assign the value 10 to the variable x. You see that the second call with the assign() function, in combination with the pipe, doesn't work properly. The value of x is not updated. Arguments within functions are only computed when the function uses them in R. This means that no arguments are computed before you call your function! That means also that the pipe computes each element of the function in turn. Error in eval(expr, envir, enclos): ! You'll see that the nested way of writing down this line of code works perfectly, while the piped alternative returns an error. Other functions with the same behavior are try(), suppressMessages(), and suppressWarnings() in base R.
If you would rewrite this line of code, pi would be the first argument in your round() function. But what if you would want to replace the second, third, ... argument and use that one as the magrittr placeholder to your function call? It is straight-forward to use the placeholder several times in a right-hand side expression. However, when the placeholder only appears in a nested expressions magrittr will still apply the first-argument rule. The reason is that in most cases this results more clean code. This pipeline would take some input, after which both the cos() and sin() fuctions would be applied to it. But you're not there yet! If you want this pipeline to do exactly that which you have just read, you need to assign it first to a variable f, for example. After that, you can re-use it later to do the operations that are contained within the pipeline on other values. freduce(value, `_function_list`), class = c("fseq", "function"
Remember also that you could put parentheses after the cos() and sin() functions in the line of code if you want to improve readability. Consider the same example with parentheses: . %>% cos() %>% sin(). You see, building functions in magrittr very similar to building functions with base R! If you're not sure how similar they actually are, check out the line above and compare it with the next line of code; Both lines have the same result! There are situations where you want to overwrite the value of the left-hand side, just like in the example right below. Intuitively, you will use the assignment operator <- to do this. Note that the compound assignment operator %<>% needs to be the first pipe operator in the chain for this to work. This is completely in line with what you just read about the operator being a shorthand notation for a longer notation with repetition, where you use the regular <- assignment operator. As a result, this operator will assign a result of a pipeline rather than returning it. The tee operator works exactly like %>%, but it returns the left-hand side value rather than the potential result of the right-hand side operations. This means that the tee operator can come in handy in situations where you have included functions that are used for their side effect, such as plotting with plot() or printing to a file. When you're working with R, you'll find that many functions take a data argument. Consider, for example, the lm() function or the with() function. These functions are useful in a pipeline where your data is first processed and then passed into the function. In the introduction to this tutorial, you already learned that the development of dplyr and magrittr occurred around the same time, namely, around 2013-2014. And, as you have read, the magrittr package is also part of the Tidyverse. In this section, you will discover how exciting it can be when you combine both packages in your R code. For those of you who are new to the dplyr package, you should know that this R package was built around five verbs, namely, "select", "filter", "arrange", "mutate" and "summarize". If you have already manipulated data for some data science project, you will know that these verbs make up the majority of the data manipulation tasks that you generally need to perform on your data. Both code chunks are fairly long, but you could argue that the second code chunk is more clear if you want to follow along through all of the operations. With the creation of intermediate variables in the first code chunk, you could possibly lose the "flow" of the code. By using %>%, you gain a more clear overview of the operations that are being performed on the data! In short, dplyr and magrittr are your dreamteam for manipulating data in R! Adding all these pipes to your R code can be a challenging task! To make your life easier, John Mount, co-founder and Principal Consultant at Win-Vector, LLC and DataCamp instructor, has released a package with some RStudio add-ins that allow you to create keyboard shortcuts for pipes in R. Addins are actually R functions with a bit of special registration metadata. An example of a simple addin can, for example, be a function that inserts a commonly used snippet of text, but can also get very complex! With these addins, you'll be able to execute R functions interactively from within the RStudio IDE, either by using keyboard shortcuts or by going through the Addins menu. Note that this package is actually a fork from RStudio's original add-in package, which you can find here. Be careful though, the support for addins is available only within the most recent release of RStudio! If you want to know more on how you can install these RStudio addins, check out this page. You can download the add-ins and keyboard shortcuts here. Your pipes are longer than (say) ten steps. In cases like these, it's better to create intermediate objects with meaningful names. It will not only be easier for you to debug your code, but you'll also understand your code better and it'll be easier for others to understand your code. You have multiple inputs or outputs. You are starting to think about a directed graph with a complex dependency structure. Pipes are fundamentally linear and expressing complex relationships with them will only result in complex code that will be hard to read and understand. Using pipes in internal package development is a no-go, as it makes it harder to debug! For more reflections on this topic, check out this Stack Overflow discussion. Other situations that appear in that discussion are loops, package dependencies, argument order and readability. In short, you could summarize it all as follows: keep the two things in mind that make this construct so great, namely, readability and flexibility. As soon as one of these two big advantages is compromised, you might consider some alternatives in favor of the pipes. Instead of chaining all operations together and outputting one single result, break up the chain and make sure you save intermediate results in separate variables. Be careful with the naming of these variables: the goal should always be to make your code as understandable as possible! One of the possible objections that you could have against pipes is the fact that it goes against the "flow" that you have been accustomed to with base R. The solution is then to stick with nesting your code! But what to do then if you don't like pipes but you also think nesting can be quite confusing? The solution here can be to use tabs to highlight the hierarchy. You have covered a lot of ground in this tutorial: you have seen where %>% comes from, what it exactly is, why you should use it and how you should use it. You've seen that the dplyr and magrittr packages work wonderfully together and that there are even more operators out there! Lastly, you have also seen some cases in which you shouldn't use it when you're programming in R and what alternatives you can use in such cases. If you're interested in learning more about the Tidyverse, consider DataCamp's Introduction to the Tidyverse course.